Teen LifeAbility - Two More Weeks Left! Last Chance to RSVP! The Arc's Annual Meeting & SPARC Awards are Next Wednesday, April 17! Do You Know A Teen with I/DD? 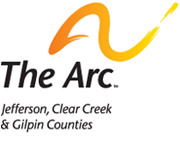 Junk Your Jalopy and Raise Money for The Arc! RSVP Today for The Arc's SPARC Awards and Annual Meeting! DD Awareness Month is Still in Full Swing! RSVP Today for The SPARC Awards and The Arc's Annual Meeting!